The wonderful Zinkwazi Lagoon Lodge provides world-class service as well as multiple options in housing experiences, chalets, lodge and camping. Zinkwazi Lagoon Lodge has a multitude of activities to choose from. These include hiking trails, fishing and swimming. So take a day off from the tour and rest at the lovely Zinkwazi Lagoon Lodge. Cane Cutters Resort offers a wonderful place to sleep and is also a perfect hub to visit several of the surrounding locations. The Litchi Orchard has a wonderful farmers market as well as providing the opportunity for guests to pick their own Litchi’s. The day can be rounded off at Sheffield Bay. Driefontein Plant Centre is great place to see some of the natural plants, which grows in the KwaDukuza region. The rest of the day can be spent at Shaka's Rock Beach, where a tidal pool allows children to swim in safety and snorkelling can be enjoyed for the older crowd. The day can be spent enjoying some of the awesome activities available at the Cane Cutters Resort; they have a wonderful quad biking experience. The day can be ended off with a visit to Salt Rock beach, which is a netted beach and it also has a tidal pool. Zimbali Country Resort provides world-class vacation accommodation for the travellers that are seeing the Dolphin coast for the first time. Start the last stretch of the tour with a visit to Crocodile Creek; where you can see a collection of 7000 reptiles waiting to make you their friend. The Crocodile Creek is one of the biggest reptile Centre’s in the world. Crocodile Creek mainly focuses on Nile Crocodiles. After a tour through Crocodile Creek the day can be spent lounging in the sun at Salmon Bay. The Pottery Gallery offers a fun filled family day where there is something to do for everyone. There are multiple souvenirs that can be bought at the small gift shop or art pieces made by some of KwaDukuza’s greatest artists. The day can be finished off at Clarke’s Bay beach where swimming as well as surfing can be enjoyed daily. These two days are divided into a choice of three two-day activities. Scuba diving can be done through Club Venture, Day one is training for those that have no experience and day two consisting of the actual scuba diving. Microlight flights along the coast can be enjoyed during day one, consisting of a short debriefing and the first route that lasts 30 minutes along the coast. The second day consists of a longer route where fish can be spotted in the water as well as several sugar cane fields. The last option is a Zip line adventure through Club Venture through the lush green forests of the KwaDukuza region. 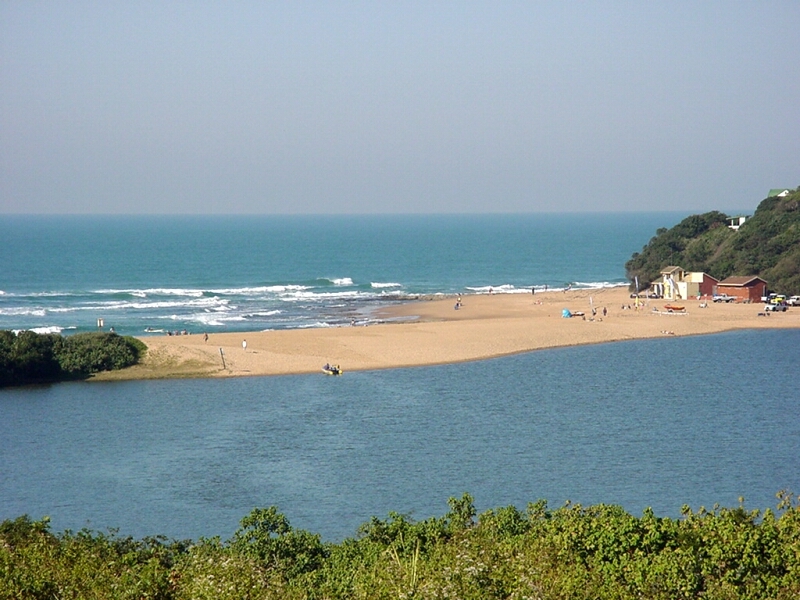 These are all free days and you can spend them anyway you would, with activities still available from the Zimbali Lodge or revisit some of the previous beaches. The choice is yours.